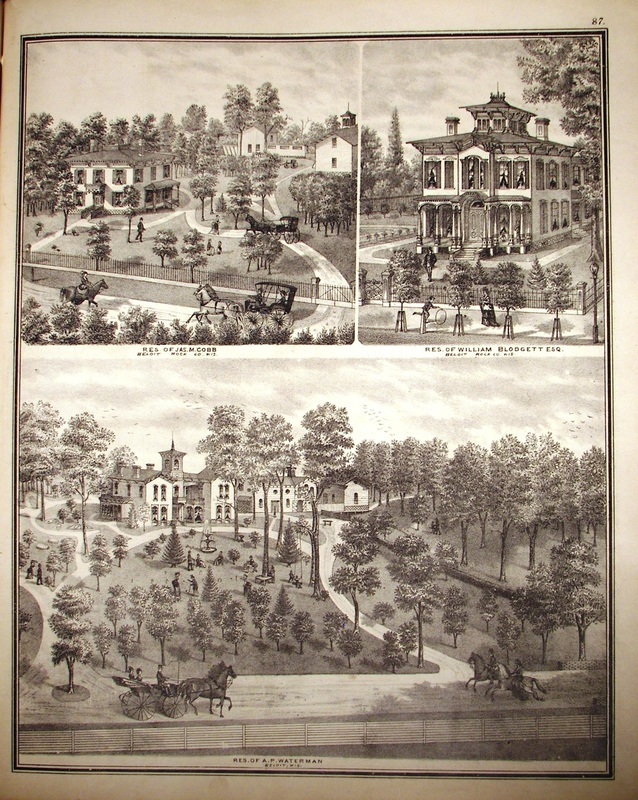 1873 Plat Map Beloit Twp lithograph: Jas. M. Cobb, Wm. Blodgett, Esq. and A. P. Waterman Residences.